A customer favorite! A gift box filled with one dozen of our beautiful handmade candy canes. Assortment flavors may include any or all of the following: Peppermint, Molasses, Wintergreen, Spearmint, Cherry, Lemon, Anise, Pomegranate, Orange Creme, or the 2014 Flavor of the Year. 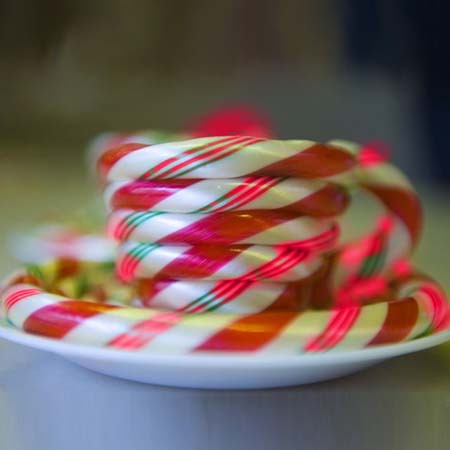 Because candy canes are handmade, color and size may vary slightly. Second year in a row of ordering the assorted candy canes and once again I received a box of smashed up candy. I have tried reaching out to customer service, but haven't heard back. It's a shame because these candy canes are quite good. I would like to see a guide as to what color is what flavor as other reviewers mentioned. 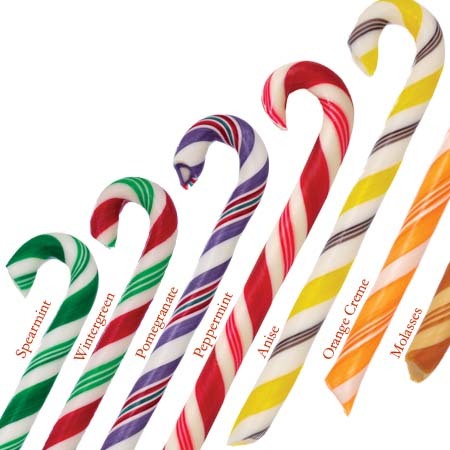 Yes-buy these candy canes. I am also going to review the Pina Colada. Bravo! This family run store made it a point that I receive my candy canes for my luncheon. I will shout it from the rooftop. Buy from this store., You will not regret your purchase. Oh, and the candy cane are out of this world. Thank you so very much! These candy canes are a real treat. They are much more flavorful than anything you find in the grocery store. 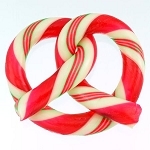 The candy canes last a long time, and they are hard and crunch rather than soft and chewy. The flavors are unique, and I was easily able to identify each flavor. 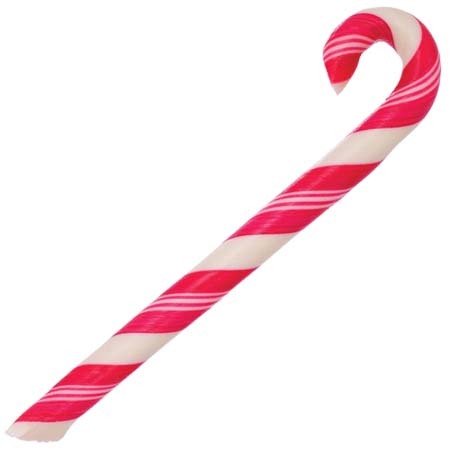 I ordered one box of these and two of the natural peppermint canes, and not a single cane was broken. This was my first order from Giambris, and I will definitely be ordering something from them again soon! These candy canes are beautifully handmade. The crooks are a bit smaller than traditional candy canes, but still hang easily on a Christmas tree. Some of the flavors (peppermint, pomegranate) were delicious and strongly flavored, while others were just sweet with the flavor not coming through strongly. I wish that there would have been an insert with pictures of the candy canes (or a color guide) attached to their flavors. I had to go on the website to be able to identify a few; I was unable to do it strictly by taste.